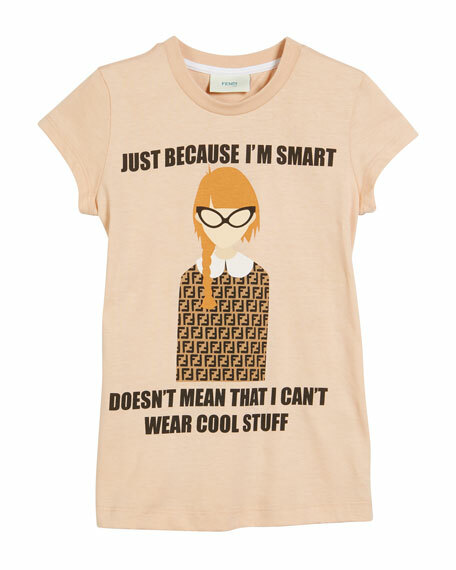 Kenzo T-shirt featuring ice cream logo graphics. For in-store inquiries, use sku #2476940. 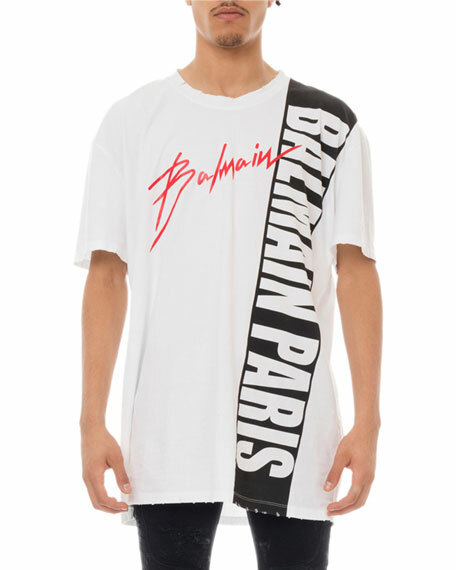 Balmain T-shirt with multi-logo graphic. Crew neckline. Long-line fit. Distressed hem. Pullover style. Cotton. Made in Portugal. 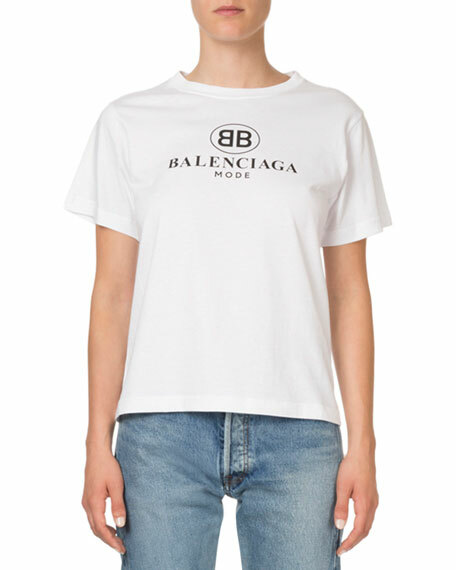 Lanvin T-shirt with repeating "Silent" graphic on front, backwards logo behind neck. Crew neckline. Straight hem. Pullover style. Cotton. Made in Italy.